Experience and Qualifications: I am a 30 year fire service veteran in volunteer, combination, and career fire departments. I am currently a 25 year career member of the Longmeadow Fire Department, who was promoted to Captain and shift commander in 2001. 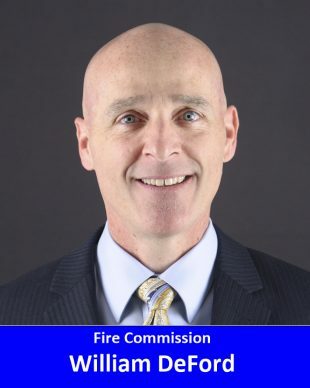 I have also served as a Coordinator and Instructor at the Connecticut Fire Academy in Windsor Locks for over 16 years. During my early involvement as a volunteer firefighter, I was employed with a private non-profit human service organization as a Licensed Social Worker in Springfield, MA. My decades of experience in both the fire service and human services have honed my problem-solving abilities in all regards, and in all types of situations. Education: I have a Bachelor of Science in English from Springfield College, and am trained to the levels of Fire Instructor II and Fire Officer IV in the fire service. I also have a strong background in organizational development, and the application of organizational development principles in a variety of groups and settings. Family: My wife Lisa and I have raised two children in Suffield over the last 20 years. Our children, Shawn and Emily, are now successful college graduates and adults due in some part to their education in our school system where Lisa is a teacher in the Middle School. Community and other Involvement: Our family had been involved with the Emergency Aid Association, Relay for Life, Suffield Foundation for Excellent Schools, and numerous sports groups. We are currently involved with the Cape Cod Chapter of the American Lighthouse Foundation, and the Northford Timber Framers (both 501 c3 organizations). I have a strong interest in contributing to the government of our community, and I am a tremendous supporter of our highly regarded and trusted firefighters. I am an even-tempered proponent of maximizing our investment in our Fire Department’s success, while maintaining a balanced voice of sound decision-making in a difficult and uncertain economic era. I believe that the combination of my strengths and interests in problem-solving, interpersonal relationships, and a natural math aptitude have a place on a progressive Fire Commission moving forward. Ultimately, I am a taxpayer who can now dedicate the time and energy toward the continued betterment of Suffield; I am humbled by the potential opportunity to do my part, and thank you in advance for your support if you agree.